Paulo Miyao and Italo Moura. Eyeing the under-76kg title from Spyder Invitational, which reaches its quarterfinal stage this Saturday, this week Paulo Miyao sharpened his elastic guard in a day of training in Seoul, South Korea. Graciemag was present and paying attention, so we caught on camera the best part of the session, which also included a few other athletes that will be fighting tomorrow. 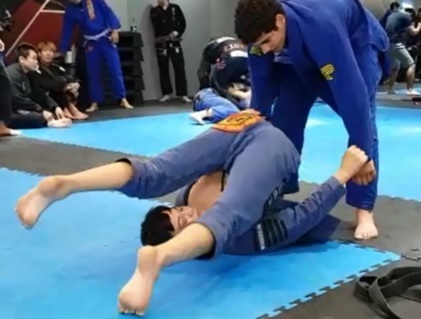 Watch Paulo Miyao’s warmup below, and stay glued to our Instagram to find out what happens on the mat and backstage at the Spyder Invitational BJJ Championship.